During the first year of teaching, mentor / mentee pairs will participate in a Courage To Teach (CTT) seasonal, four retreat series. There will be three CTT circles in-process, concurrently, with approximately twenty participants per circle per year for a project-wide total of sixty. Gatherings will be scheduled in the fall, winter, spring and summer of the teachers’ first year of teaching. 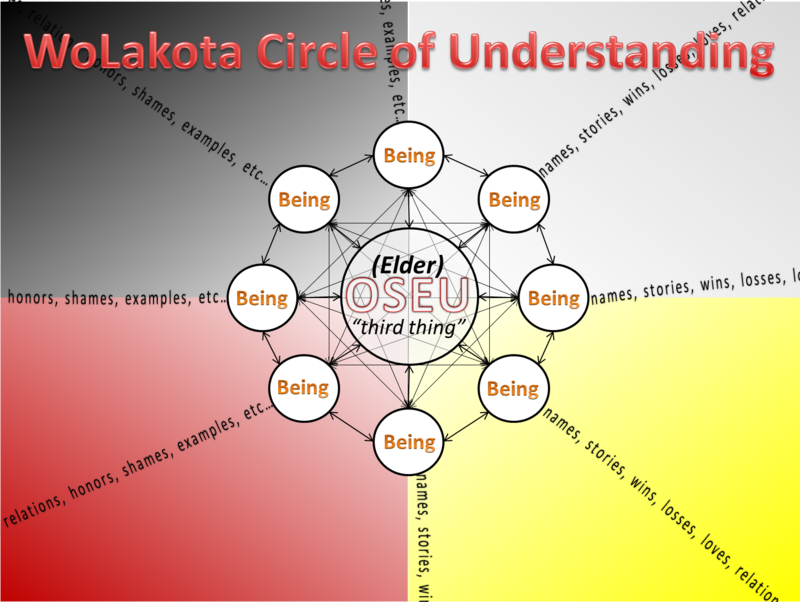 Sharla Steever and Dr. Scott Simpson will co-facilitate all WoLakota Project CTT circles. Thanks Iesha! Please spread the word about the WoLakota Project! There have been a number of well-thought out lesson plans that continue to develop within the TIE online Weavings discussion groups. Are there plans for these lessons to be made available on this site? Actually, some if not all of those have been vetted and are accessible at the MyOER.org site which is accessible from this site. Go to the MyOER link on the resources column to the right and do a quick search and that’s where you’ll find them!